Author(s) must follow the format and guidelines in the Style Guide in preparing the manuscript. Manuscripts are submitted through an online portal. Please check the Introductory Video to facilitate the submission. Preliminary examination process and peer review process of articles sent to the Journal are completed in a timely manner and with extreme caution to the blind review process. Referees are appointed only after the article sent to the journal is reviewed by editorial board. Articles sent to the Journal is evaluated through blind review and blind editorial board method. Approved article is sent to two expert referees. In accordance with referee reports, editor could send it to the third referee. In accordance with referee reports, the article is decided to be published as is or it might be sent to the author(s) for editing and/or revising it. - Manuscript will be rejected if similarity index higher than 20 %. In this case, author(s) kindly advised to submit their manuscripts after revision. - Manuscripts will be accepted for double blind peer review process if similarity index equal to or lower than 20 %, and also similarity index for single source is equal to or lower than % 3. - All author(s) accept the abovementioned rules by submitting their manuscript to IJISEF. The services provided by IJISEF are free of charge. 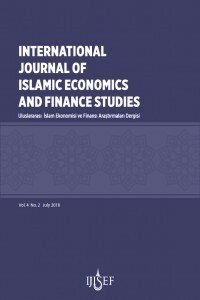 Author(s) do not need to make any payment for submission, processing and publishing their paper(s) in the IJISEF.